Tiny love introduces a unique combination of luxury and versatility with the cozy rocker napper. This sleek addition to the popular line of rocker nappers features a unique design of chic canopy and soft head support, improving the quality of baby's sleep. Bring joy to baby with the automatic sit-to-sleep feature, making the transition from playtime to naptime utterly seamless. 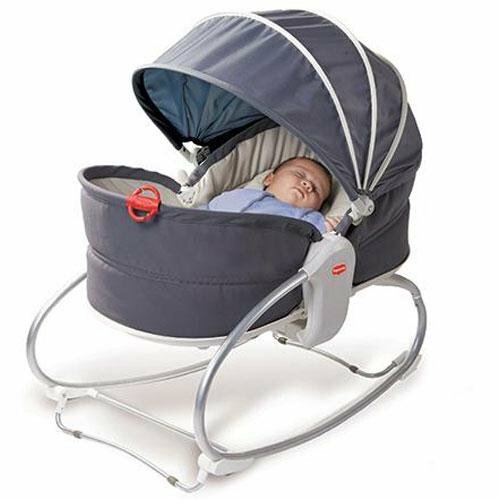 Simply pull the canopy over baby to bring him or her soothing comfort and calm.